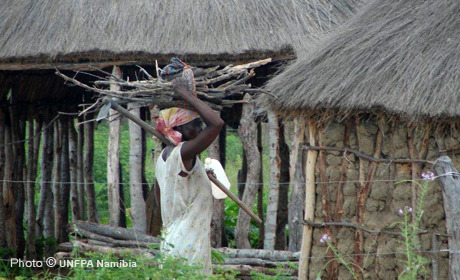 A politically stable upper middle-income country, Namibia faces continuing challenges. HIV and sexually transmitted infections rates are high, and maternal mortality and the unmet need for family planning have risen. Since 1972, UNFPA supports strengthening sexual and reproductive health services, promoting gender equality and bolstering national capacities to prevent and respond to gender-based violence. Programmes help expand high-quality, emergency obstetric and newborn care and family planning services. UNFPA also encourages young people to advocate for sexual and reproductive care and forge links to HIV services. It also helps to produce high-quality demographic data. WINDHOEK, Namibia – In many ways, Lelanie Basson is the picture of an empowered woman.